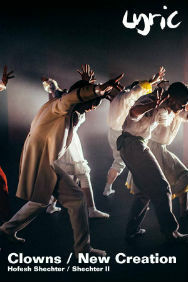 Shechter’s blackly comic portrayal of a group of anarchic clowns was rapturously received at Nederlands Dans Theater in 2016, and he now creates a brand new companion piece to sit alongside it. With its razor-sharp lighting and pulsating score, Shechter’s work has the energy of a rock gig combined with beautiful, moving choreography. Clowns/ New Creation is performed by Shechter II, the 8 strong apprentice company chosen from the most inspiring young talent across the world.